It's said there are none so blind as those who will not see. I couldn't help but think this as I read the SIS, and GCSB annual reports recently. The smugness and the focus on NATO's distant enemies (ISIS/Daesh) and their supporters in this country. Here were two organisations which were doing their best to look the business, please their political masters with the resources (around 800 staff in total and quarter of a billion dollars annually) to hand. Two organisations we trusted to watch for terrorists and which completely missed the lead up to the March 15 Christchurch mosques massacres - massacres which proportionately killed more people per citizen than the 911 attacks did in the United States. And yet in July 2011 Anders Brevik had already killed 8 with a bomb and then went on to shoot down 69 young people (including a kiwi )at a youth camp in Norway. The attack is included on the international terrorism database [https://www.start.umd.edu/gtd/]. It did not, however, rate a mention in the 2011/12 SIS annual report which mostly focused on the Rugby World Cup, and concluded the risk of Islamist terrorism was reasonably small. Instead much of the SISs day to day work seems to be doing security clearances and responding to a general sense that political liberals constitute a threat to New Zealand's state and public safety. Indeed there is nothing in the next six annual reports to indicate that New Zealand authorities took right wing extremism seriously at all. The big question is why not? Well it turns out they aren't alone. This article in GQ [https://www.gq.com/story/right-wing-extremism-murders] points to an Jewish Anti Defamation League study that found right wing extremists killed 50 in the United States last year (compared to 37 in 2017) but that this is classified as regular crime rather than terrorism in the US of A. This is despite plenty of academic study into right wing radicalism and extremist violence by the University of Maryland's terrorist research group START [https://www.start.umd.edu/research-projects/recruitment-and-radicalization-among-us-far-right-terrorists]. That is if our security agencies cared to look. The fact is they didn't. Europe's tendency to ignore neo nazi groups was pointed out in the Guardian in this sadly prescient article on neo Nazi terrorism [https://www.theguardian.com/commentisfree/2010/jul/11/islam-white-racist-terror-attack] which anticipated the Norwegian massacre. The tendency by the military establishment to ignore right wing attacks was again emphassed in this article in 2016 [https://www.ibtimes.co.uk/neo-nazi-lone-wolf-attacks-europe-are-more-deadly-isis-terrorist-plots-1546885]. Meanwhile the security community (the one that missed the rainbow warrior attack by the French DSDG) was determined to prosecute the algerian refugee Ahmed Zaoui as a humungously dangerous infiltrator [https://en.wikipedia.org/wiki/Ahmed_Zaoui#Imprisonment_in_New_Zealand] all on the say so of French and Belgian intelligence. Mr Zaoui has since been quietly vending kebabs in Auckland. In short the "intelligence" was basically a vendetta by someone. See the pattern? Right wing threats ignored, Islamic threats [https://www.janes.com/article/69027/fascism-reborn-right-wing-extremism-in-europe-and-the-us] attract vast amounts of intelligence attention, investment and work hours. That may be because the military are the recruiting ground of right wing extremists [ https://www.theatlantic.com/national/archive/2013/04/the-greater-danger-military-trained-right-wing-extremists/275277/]. This isn't just an American problem either. The Germans have had the same problem [ https://foreignpolicy.com/2017/05/01/the-german-military-has-a-neo-nazi-problem-extremism-right-wing-terrorism/] and so do the Brits [https://news.vice.com/en_us/article/xw9na4/anti-islam-extremist-tommy-robinson-is-trying-to-hijack-the-british-army]. So maybe, just maybe, New Zealand is no different. Now I am not so naive as to believe that there have not been genuine jihadist threats that our intelligence services have contained. But the fact is that two attacks (one by a foreign intelligence service) have got through. That's not great seeing they weren't unpredictable. In both cases the threat has been from an actor the intelligence services did not adequately anticipate. Now let us look at two small nations which are not tied into formal intelligence alliances. Finland suffered an islamist terror attack in 2017 leaving ten stabbed to death. Ireland has had a long history of domestic terror organisations, though no recent history of terror incidents. Are these countries better or worse off for not being in the five eyes pact? There is no simple answer to this question, but my suggestion is that they are better off. Why? Because their senior staff aren't distracted by travelling to junkets overseas to kow tow to Americans. They just do their jobs: protecting Finland and Ireland. The problem with lots of NZs senior officials in all government sectors is they just love to go to international meetings and come back with foreign priorities instead of local ones. This has clearly been happening in the security and defence sector. New Zealanders trot off overseas and come back with a pile of ideas which have nothing to do with our real problems. In the meantime local warnings have been ignored. There have been numerous post Christchurch disclosures of people who have warned officials about right wing threats. Their warnings, however, fell on sterile ground. The officials had not been told what to think yet about alt right threats yet. Instead they did what they are told and spent hundreds of millions of taxpayer dollars on things which simply don't make any sense. 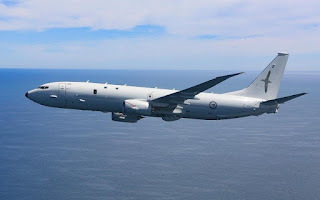 Consider the $2,600,000,000 our government is spending to buy four P-8 Poesidon spy planes. Will they stop terror? Will they make our people any safer? I rather doubt it. The P-8 is a Boeing 737-800 (NG originally, but now possibly MAX) converted to a sub hunter with elint (electronic intelligence) facility. The RNZAF hasn't spotted a foreign sub anywhere near us since the USSR collapsed and few subs can actually make it to NZ these days anyway (because they are deisels not nuclear). The labour government spent that money simply as a military industrial toll we pay to America as part of the Five Eyes protection racket. But as events have shown its a racket that doesn't actually protect us. Spend even a quarter of that sort of money on genuine human intelligence networks and you will get better protection from all threats, not the imaginary ones that our officials are told to think about by foreigners. Because the defence and security sector - as Responsible Defence has been saying for years now - is changing. There is no civilian|defence dichotomy anywhere except in the minds of the military. Battles these days are messy. They involve aid agencies, television crews, activists, mercenaries, voluntary soldiers, corrupt spies and officials, government militaries, the UN, and commercial sector interests. The division between criminal and terror is blurred to hell. To achieve security we need to recognise this and achieve a much more nuanced graduation between police, intelligence and special forces and soldiers. One that reflects realities but doesn't topple into an undemocratic nightmare. We are told there will be a review. But I think everyone knows it will be restricted to the question of whether the SIS and GCSB are to blame. Suitably qualified military people will shake their heads and make grim faces and completely exonerate the status quo. Why? Because they are the same people who sympathise with ultra-rightists and do what they are told by the US. But the problem is not that the SIS and the GCSB can't find low key individual maniacs before they pop up and go crazy. As the Finns found that threat will never go away. But these agencies will certainly never get to grips with local terrorism the way the Irish probably understand it if they think their job is trotting off to meetings in Virginia. Take away the crutch of five eyes and they will have to wake up and smell the coffee. Sadly I have little hope that New Zealand is actually bold enough to withdraw. The Prime Minister is great at grand gestures but she's sensible to practical policy and is careful not to open the doors to her political opponents opportunism she doesn't need. Thus the junkets will continue and the resources will continue to be misdirected. My only hope is that perhaps New Zealand can exert more influence on Five Eyes, if only because the real threat of New Zealand withdrawing is that if we do Five Eyes would become Four Eyes and the intelligence agencies myopia would be obvious.